New Fall / Wintercollection from Iron Fist! 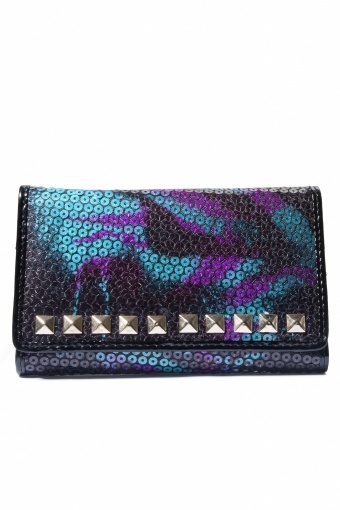 The Ladies Debracorn Medium Purse multi. 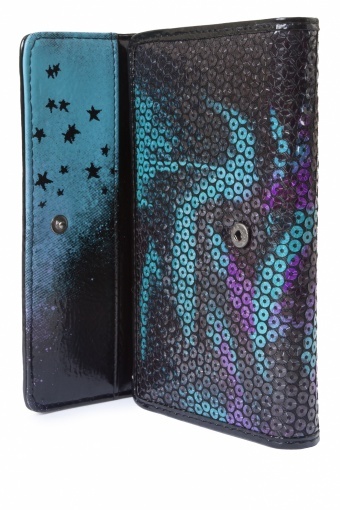 Beautiful money purse covered in sequins in beautiful Debracorn print and silver studs details. 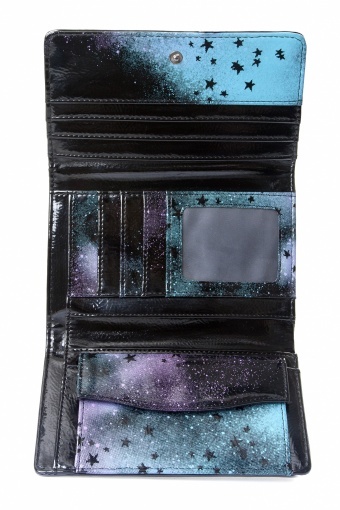 Inside sidepockets for your creditcards and push button closure. More Debracorn print.